Imagine if you will, rural communities set so far into the mountains or jungles that there are no roads to them. Villages that sit a 15-day journey by bus and foot from the capital of the country and where a child’s school might be a 4-hour walk each way. This kind of isolation and lack of basic services are endemic in Nepal and around the world in similar developing countries and have proven to be fertile ground for child traffickers. These are remote places where poverty, conflict, natural disasters and lack of education are used to deceive families with the promise of a better future for their children. Places where tourists are deceived and children are turned into commodities. Where this cycle of violence against at-risk children and their families, because of the sheer size of it and the money involved, continues even as we sit here today. 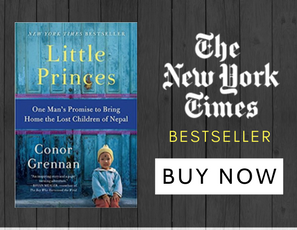 With the help of our grassroots supporters, the Prevention Project seeks to expand NGN’s ability to advocate and raise funds, thereby, continuing the work we are currently doing to fight child trafficking where it starts and to bring home the lost children of Nepal. Our volunteers recruit other like-minded individuals to inspire and educate people about what we do, helping to spread awareness and fundraise through holding informal discussions at local venues. With your help our staff in Nepal is able to continue to have the means to do their jobs, sometimes overcoming seemingly insurmountable odds to find the family of a child trafficked years before, and continuing the fight against even one child being trafficked again. Why did NGN set up the Prevention Project? 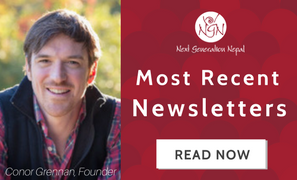 We often hear from our supporters, “How can I help?” At NGN, we are a grassroots organization that depends on its supporters to help fund our programs. The Prevention Project has been set up as a great way to get involved and help us continue to help the at-risk children of Nepal. Join us by setting up a Chapter like our current volunteers and see how you can contribute to NGN and the children it serves! 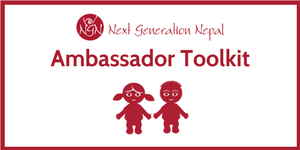 What does a volunteer for Next Generation Nepal do? A volunteer either starts and leads their own NGN Chapter* or is part of an existing one in their community. Fundraising ideas are truly limited only by your imagination! See our list of fundraising activities in the volunteer toolbox to get started! Talk about what we do to friends and others in your community. Whether in small groups or large groups, it is important for people to learn about the work we do and the risk that these children face every day in Nepal. Planning and executing a fundraiser, talking about our work at your local community center or house of worship or talking about NGN’s work in a class are all advocating for what Next Generation Nepal does in Nepal. The more attention we can draw to what is going on there, the better for the kids at-risk of being trafficked! Next Generation Nepal’s work is recognized globally. The advocacy that we do for Nepal children affects children living everywhere and brings awareness to the world about the vulnerability that children face everyday. Part of starting a Volunteer Chapter is finding like-minded people in your area who want to help you make a difference! Networking helps to spread the word about what we do, but it also involves more people directly than just advocating. 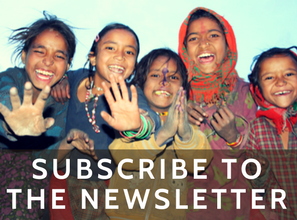 There also may be similar organizations in your area who you want to connect with or are doing work in Nepal or other developing countries! *NGN Chapter: An NGN Chapter is a volunteer-led organization within a community (church, university, book club) that partners with Next Generation Nepal to increase awareness of the children’s rights issues that pertain to its mission as well as to support the organization’s mission to reunite exploited children with their families through fundraising and advocacy. Chapters are connected to both Next Generation Nepal’s headquarters and to the community of the Volunteer, and are overseen by the head of the volunteer program at NGN. Sounds great, now where do I start? 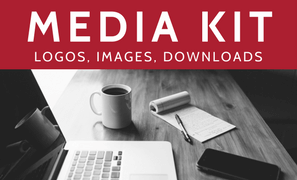 Or, if you prefer, download the full toolkit below (click the image) and email us your completed application form.